Welcome to All Saints Junior Church. We’ve got lots of exciting activities planned for all ages, so come along and join us and why not bring your friends too! We sit together at the beginning of the 10am service and then go out to our coffee bar area before the first hymn; to do special bible based activities including, stories, drama and craft. 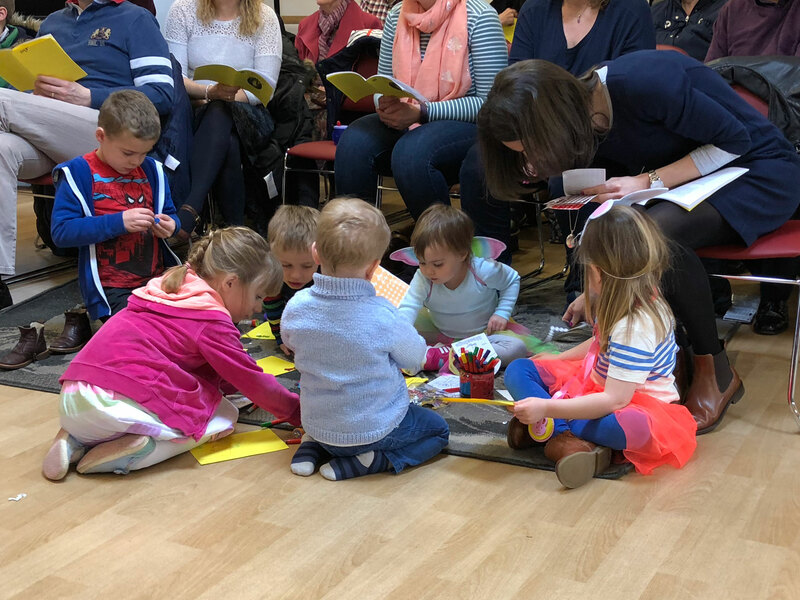 We sit together at the beginning of the 10am service and then go out to our coffee bar area before the first hymn; to do special bible based activities including, stories, drama and craft. We return to the service for exchanging the Peace and for the children to receive a blessing during Communion. We then finish the session in the coffee bar from where parents can collect their children at the end of the service. Please note that parents must sign their children in and out at the start and end of the session; please also inform us of any dietary requirements or allergies as the session is usually ended with a prayer and a drink and biscuit. Registration forms need to be completed for all children who attend Junior Church on a regular basis, whether old or new. For an electronic copy of the registration form please email Adele Redgrave (adele.redgrave@sky.com). If you would prefer a paper copy, these will be available from the Junior Church leaders at each session, so please ask. Finally, if you have any queries regarding the All Saints Junior Church, please don’t hesitate to contact Adele on the above details. We look forward to seeing you on Sunday!! Adele and the Junior Church Team.